Welcome to HomeSmart Realty West, a technology based full service Real Estate company located in San Diego, with offices in Carlsbad, Mission Valley & Rancho Bernardo. Our goal is to provide a culture with the highest levels of integrity and customer service. The primary tool HomeSmart Realty West uses for achieving it's goals, both for real estate agents and clients (home buyers and sellers), is our cutting edge technology. HomeSmart Realty West offices are equipped with the latest technology to keep agents on the forefront of the ever-changing industry. Our Agent Technology "SmartPanel" allows management of transactions and clients to be handled with ease. HomeSmart associates receive assistance via "E-Coordinators" to ensure efficiency in transactions. This efficiency allows the HomeSmart Realty West agents more time for negotiating, marketing, community involvement and lead generation. Today, HomeSmart continues to be a leader in the Real Estate industry by implementing technologies that empower its Agents to provide outstanding customer service to their Clients. HomeSmart agents are professional practitioners that lead their industry and are known for excellence. HomeSmart Realty West is proud to be part of the San Diego Real Estate market. Our agents serve areas stretching throughout San Diego County from the Border, to the Base in Pendleton. We specialize in the Selling, Buying and Leasing of Real Estate in San Diego County. Contact us for a real estate agent that specializes in your area! HomeSmart agents have an average of 10 years in the business! 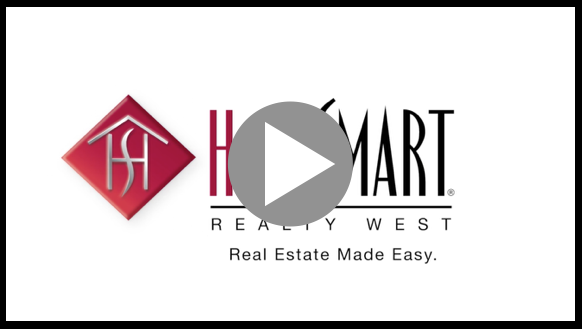 Take a look at the below video to get a glimpse at HomeSmart Realty West.